While passengers, especially those who fly frequently, often ignore the preflight safety briefing, they do serve a vital purpose, and over the last few decades these briefings have no doubt allowed passengers and crews to avoid serious injuries and deaths during emergencies. However, the experience of one passenger, who is also a career aviation safety professional, highlights the fact that airlines may not be required to ensure that passengers can hear or understand these safety briefings. On 20 July 2013 I flew on a SAS MD82 from FCO (Rome) to CPH (Copenhagen), and I was in seat 33A. A panel was just in front of my seat and I could not see the safety demonstration carried out by the flight attendant standing many rows ahead (see photo below). In the same time, listening by the loudspeaker (in English and probably Danish) was difficult and irregular. No other safety information was given before takeoff. I don’t need to receive a safety demonstration as I have been working in the Italian Civil Aviation Authority for more than 30 years, but the handler and the airline did not know this when they assigned that seat to me. The aircraft was also full of Italians who probably weren’t able to fully understand the message without a visual demonstration. If the demonstration had been different from the usual I would not have been able to understand it at all. The pretakeoff oral briefing should be given so that each passenger can clearly hear it and easily see required demonstrations. By that standard, it appears that your flight, if it had been a US airline, would not have been in compliance with the requirements of this FAA Advisory Circular. This advisory circular also requires that an airline provide passenger briefing information in the languages used by the airline. However, there are no requirements that every passenger should be given an oral safety briefing in a language that is understood by that passenger, and there are also no requirements that accommodations be made for passengers who may have limited sight or hearing. When it comes to exit row seating, in the Advisory Circular the FAA strongly encourages, but does not mandate, that air carriers require crewmembers to provide a preflight personal briefing to each passenger seated in an exit seat. 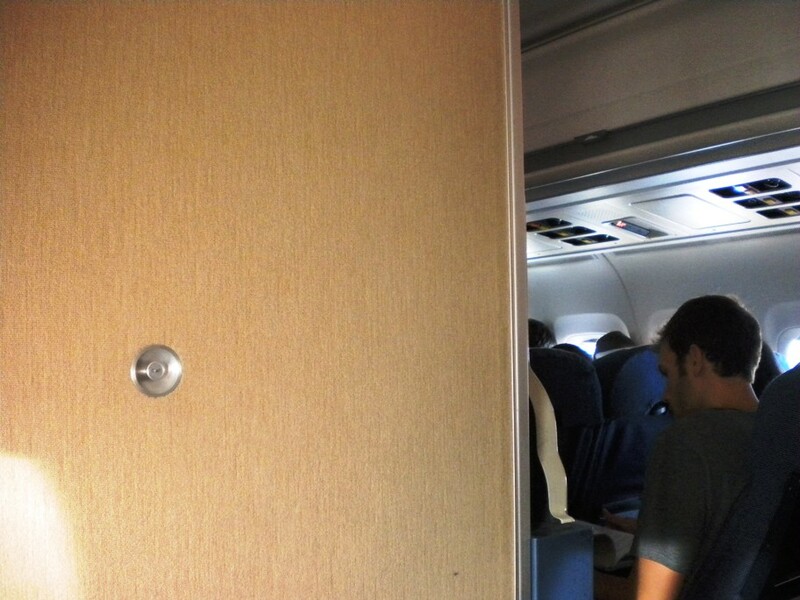 The FAA did not mention whether an exit row passenger should also understand English. In summary, it appears that the FAA gives US airlines wide latitude when it comes to passengers safety briefings, and from your description of your SAS experience, only the fact that you were not able to see the flight attendant give the briefing would have fallen short of FAA requirements. On your particular flight, the relevant requirements would have been the appropriate European regulations that would have been in effect for SAS. One of those regulations appears to be European Regulation (Reg CE 8/2008), which unlike the FAA regulation does not specifically require that the safety demonstration be visible to every passenger. Like the FAA Advisory Circular, this European regulation does not specify that the briefing be given in language that a passenger can understand. Since flying is supposed to safer than driving a car..and statistics bear this fact out.....safety briefings seem asinine to me. However, as a frequent Delta Airlines customer....their safety briefings are non intrusive, interesting and designed well enough to keep your attention.....I still doubt much of it is retained unless the crash occurs on takeoff........and most take off crashes are very deadly. I agree that almost everyone ignores the preflight safety briefings. For that reason, I like the idea of such briefings being humorous and different, as Southwest Airlines sometimes does. While it may lessen the seriousness of the briefing, at least more people pay attention to it.